MoonGlow PR, a public relations company with the motto 'Representing the Best Beatles Authors Across the Universe' will be making it's inaugural appearance at the Chicago Fest for Beatles Fans. MoonGlow PR - Representing the Best Beatles Authors Across the Universe! CHESTER SPRINGS, Pa. - July 22, 2014 - PRLog -- MoonGlow PR and its owner Jennifer Vanderslice are pleased to announce that their company will be exhiting for the first time at the Fest For Beatles Fans in Chicago in August. Several very talented authors who are represented by MoonGlow PR will be on hand to answer fans questions and sign books. Though unable to attend, Garry Berman's book 'We're Going to See The Beatles!' will also be available. And at the ajoining table will be Jude Southerland Kessler - author of the John Lennon Series. The Chicago Fest for Beatles Fans will be held from August 15 - 17, 2014. For more information about the Fest for Beatles Fans, go to: www.TheFest.com. 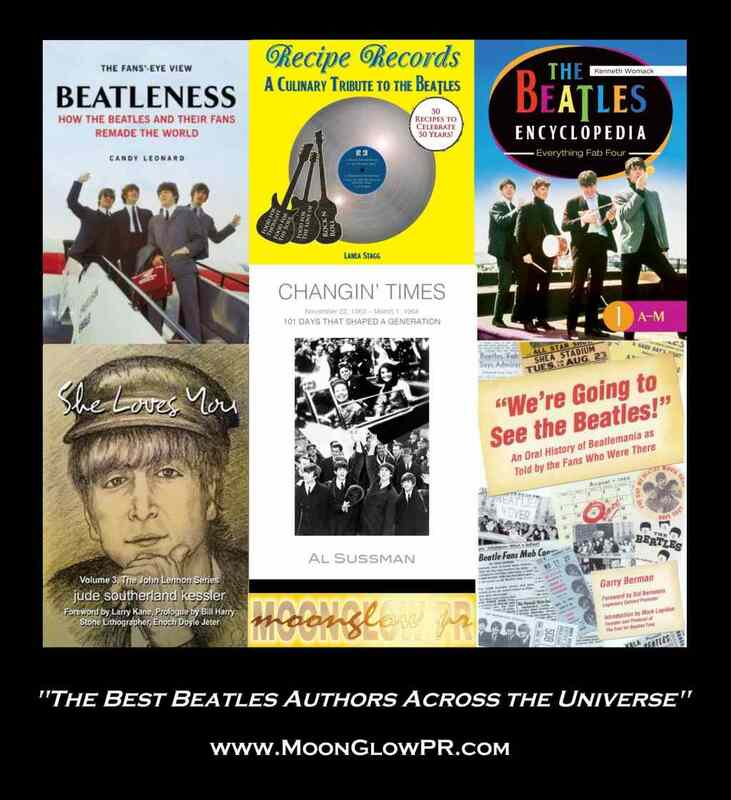 MoonGlow PR is a public relations company that specilizes in the representation of authors of books that are designated to the music and history of the Beatles. For more information about MoonGlow PR, go to: http://www.MoonGlowPR.com.